During the past century, W.R. Grace & Co. acquired several manufacturers of asbestos-containing materials, and today it remains liable for causing environmental pollution at dozens of sites and asbestos-related illnesses in thousands of people. In 1854, William Russell Grace founded a trade company in Peru and spent the following decades expanding a triangular trade network between South America, North America and Europe. He had a successful second career in politics and philanthropy, as his company continued to open new offices in countries all around the world. After the turn of the 20th century, W.R. Grace & Co. began to diversify by acquiring a variety of high-tech chemical companies. In addition to expanding into industrial catalysts and plastics, Grace bought businesses that specialized in insulation, fireproofing and heat-resistance construction materials. Up until the 1980s, these manufacturers used chrysotile asbestos or asbestos-contaminated vermiculite as a primary ingredient in many of their products. After the 1980s, however, Grace’s business empire faced a mounting number of lawsuits related to asbestos exposure. 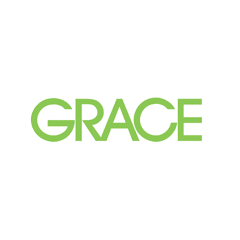 As the number of personal injury claims filed against the company approached 130,000 by 2001, Grace sought Chapter 11 bankruptcy protection. More than a decade passed before the company finally emerged from bankruptcy, during which its business continued to expand and prosper. Exposed to Asbestos at W.R. Grace & Co.? Through its acquisitions, W.R. Grace & Co. became a major supplier of asbestos-containing materials, most sold under the Zonolite, Monokote and Perltex brand names. Asbestos is a naturally occurring mineral that is extremely resistant to heat, acid and electricity. Its unique fibrous nature allows it to be fluffed into a wooly consistency and easily mixed with other materials to make them more durable. Unfortunately, when asbestos dust is inhaled or swallowed, the microscopic mineral fibers sometimes remain lodged in the lining of the lungs or abdomen permanently, causing serious illness over time. Vermiculite is another naturally occurring mineral with unique properties — when heated in a certain way, it can be popped much like popcorn, which makes it another good type of insulation. Though vermiculite itself is harmless, much of the vermiculite mined for W.R. Grace’s products came from a geological formation laced with a highly toxic form of asbestos called tremolite. Asbestos and vermiculite miners and processing plant workers bear the highest risk of developing asbestos-related diseases, followed by construction workers and insulators who regularly used Grace’s products during their careers. Family members of employees often suffered secondhand asbestos exposure, and many who lived, worked or went to school near one of Grace’s mines or processing facilities were exposed to asbestos through environmental pollution. W.R. Grace & Co. is associated with one of the largest asbestos-contamination sites in American history. The mines were also a source of tremolite asbestos, however, which contaminated the worksites, the town and much of the vermiculite shipped to processing plants and warehouses all around the nation. Health officials estimate asbestos exposure has caused the deaths of more than 400 of Libby’s residents. This number is expected to rise long into the future, as at least half of the town’s population is afflicted by asbestos-related illnesses. Criminal proceedings against W.R. Grace & Co. began in 2001, when the U.S. government charged the company and seven of its top executives with covering up the health consequences of the asbestos contamination. Records obtained from the company revealed executives had been aware as far back as the 1970s that the asbestos found in the vermiculite mine was harming employees and nearby residents. In 2008, Grace paid the U.S. Environmental Protection Agency (EPA) $250 million to cover cleanup costs at the Libby Asbestos Site, and in 2014, the company paid an additional $54 million for 39 other Superfund sites across 21 states. In 2014, W.R. Grace & Co.’s Joint Plan of Reorganization became effective, ending the company’s long period of Chapter 11 bankruptcy protection. The plan created two trust funds to provide compensation to present and future victims of asbestos exposure caused by Grace’s products or business activities. The WRG Asbestos PI Trust handles personal injury claims filed by people diagnosed with asbestos-related illnesses such as meothelioma. In 2015, the trust paid more than 50,000 claims for a total of about $353 million. The WRG Asbestos Property Damage Trust helps defray the cost of cleaning up asbestos contamination caused by Zonolite attic insulation. U.S. v. W.R. Grace & Co., 290 F.Supp.2d 1149 (D.Mont. 2003).